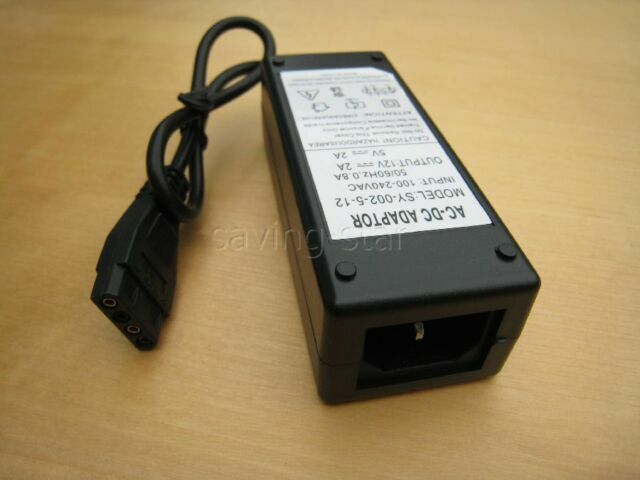 This is a good power supply for my old HDD, and works like a charm. One thing that could be improved is if both the middle pins were grounded like they are in the case, rather than just one being ground. This does mean that in some applications it won't work. On the whole, it works for what I needed. Worked perfectly. Needed to use the three pin power input cable from my printer (the PC one would have worked also) to power it so check you have one or buy one on eBay. Needed this to supply power to transfer data from a hard disk out of a dead laptop and worked perfectly.